Monday, 01. March 2010 Effective January 1, 2010, Philipp Junge was appointed head of the Lubricant Oil Additives Division of Rhein Chemie Rheinau GmbH, Mannheim, Germany. He succeeds Dr. Joachim Korff, who will shortly retire. 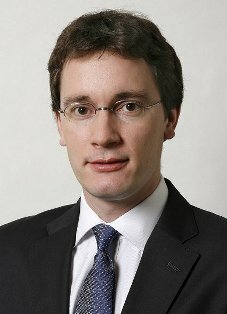 Effective January 1, 2010, Philipp Junge was appointed head of the Lubricant Oil Additives Division of Rhein Chemie Rheinau GmbH, Mannheim, Germany. He succeeds Dr. Joachim Korff, who will shortly retire. In this position, Mr. Junge is responsible for the division’s global activities. Previously he was head of strategic development for Rubber and Rubber Additives at LANXESS, the parent company based in Leverkusen, Germany. Philipp Junge joined LANXESS in 2008 after working for four years as a project manager for a leading management consulting firm, where he mainly advised clients in the oil, petrochemical, specialty chemical and private equity industries. Mr. Junge holds a Bachelor of Science degree in Economics and a Master of Science degree in International Relations. Under the brand name Additin®, Rhein Chemie markets a very broad range of specialty, high-performance additives and formulations: extreme-pressure additives, anti-wear additives, corrosion inhibition additives, water-miscible additives, antioxidants and specialty products. Completing the portfolio are high-performance additive packages for metalworking fluids, as well as hydraulic, turbine, compressor, gear and multipurpose oils.